The Parish Choir is comprised of adults and high school students. We sing every Sunday at the 10:30 service, and at special services such as Lessons and Carols and the Easter Vigil. To be a member of the Parish Choir, you should be able to sing in tune. Having knowledge of reading music is helpful but is not a requirement. Our weekly rehearsals are held on Thursdays from 7:00 to 9:00 p.m. If you wish to join us, please contact Dennis Beiermann in the Parish Office (630)-355-0467 or to be added to the roster. 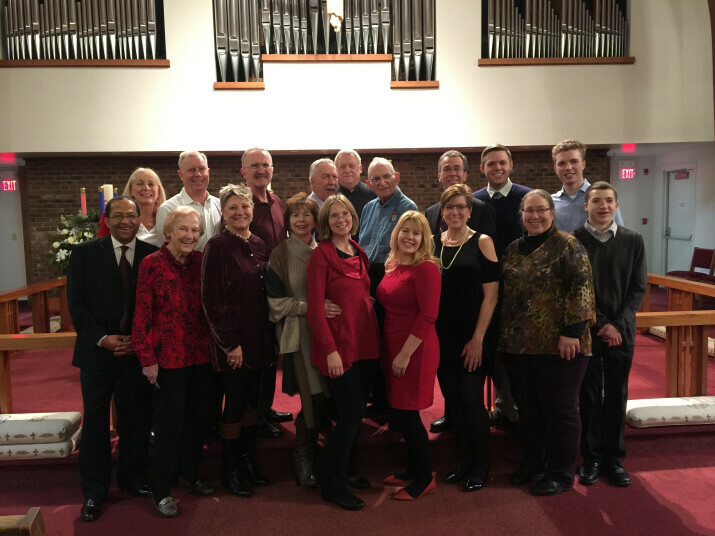 Currently, our chime choir is multi-generational and plays for worship services four times a year. If you wish to join the chime choir, please please contact Denise Beiermann in the Parish Office (630-355-0467 or to be added to the roster.